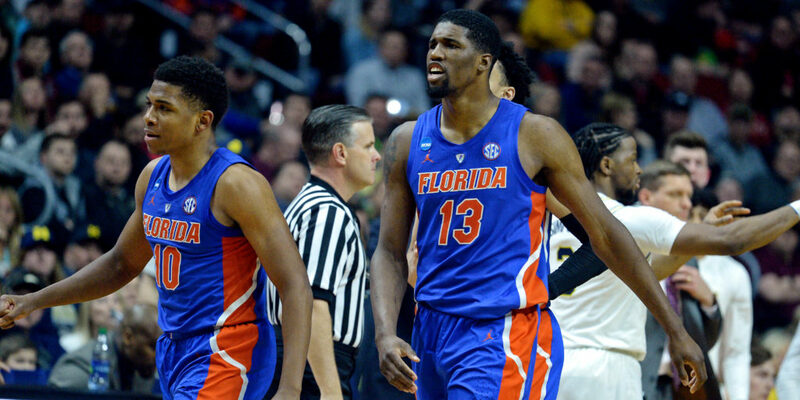 Florida’s 2018-19 basketball season ended Saturday night in Des Moines, Iowa, where the Gators were soundly defeated by No. 2 seed Michigan. The Wolverines, national runners-up last year, blew a tight 4-point game open in the second half to win 64-49. The loss marked the second consecutive season Florida exited the NCAA Tournament in the Round of 32. At most programs, a 20-win season and a trip to the Round of 32 would be celebrated as successful. Consider this for perspective: Among SEC programs, only Florida and Kentucky have even advanced to the NCAA Tournament in each of the past three seasons. The Gators and Kentucky are also two of only 10 NCAA programs that have won an NCAA Tournament game in three consecutive years. Florida, of course, isn’t most programs. The Gators have built a national brand in college basketball over the past quarter century, reaching 5 Final Fours and winning two national championships. Florida reached 5 Elite 8s alone this decade; Arkansas, LSU and Kentucky are the only SEC program that have reached that many (and in Kentucky’s case, many more) in their entire program histories. In other words, when you talk about basketball culture and tradition in the SEC, Florida might have been late to the party, but the Gators clearly are the league’s second-best program, historically. 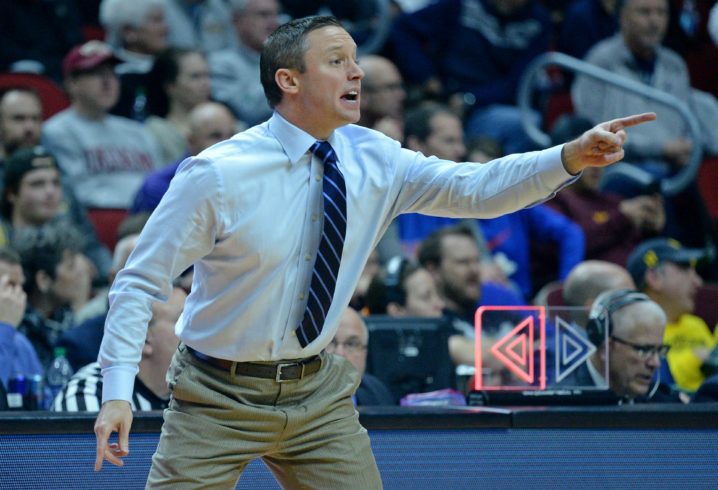 That history and culture, coupled with the still fresh, visceral reminder of Billy Donovan, the man primarily responsible for building it, has helped ratchet up the noise and pressure on Florida head coach Mike White. In addition to winning two national championships, Donovan advanced to the Final Four 4 times in his 19 years at Florida and won 6 SEC Championships. In his final season at Florida, he became the second-youngest coach in the history of college basketball to reach 500 wins before turning 50 (Bob Knight), and had he stayed in Gainesville instead of leaving for the NBA, the simple math says he very well might have chased down Mike Krzyzewski as the sport’s all-time wins leader. It’s never easy to replace a legend in any sport — ask Ron Zook, Ray Perkins or Ray Goff — and given Donovan’s immense track record, the task before White in Gainesville was always going to be difficult. Couple that with the fact that when hired by legendary Florida athletic director Jeremy Foley, White was a name highly-regarded in basketball circles but not well known beyond them — and White’s early years were inevitably going to be met with cynicism. In fairness, White never should have been or should be compared to Donovan. But when you replace a legend, that goes with the territory. White was immediately successful, which should have helped. Donovan’s last team was a mediocre 16-17 outfit that couldn’t score (115th in offensive efficiency, a Donovan worst) and started a walk-on at forward. White inherited that group minus its two leading scorers (though he did get to play talented center John Egbunu, who redshirted Donovan’s final season) and won 21 games, advancing to the NIT quarterfinals. Florida won 27 games in White’s second season. The Gators fell just short of a regular season SEC Championship and, despite a devastating late-season injury to center Egbunu, advanced to the Elite 8 for the ninth time in program history. The noise — let’s call it White noise — began last season. Florida started the season as America’s darling — a high-tempo, high-volume 3-point shooting team that took the country by storm at the prestigious PK80, where they finished second to Duke. Jay Bilas hyped White as the second-coming on national TV; Golden State Warriors coach Steve Kerr called Florida “a fun, favorite team to watch.” Expectations soared. The Gators regressed to the mean. They finished third in the SEC, just two games short of a conference title, but dropped five home games en route to a disappointing No. 6-seed and second-round exit. The White noise became a roar this season as Florida stumbled to a 12-11 start, plagued by miserable half court offense, the half-season disappearance of consensus preseason All-SEC selection Jalen Hudson and offensive regression of star senior KeVaughn Allen. Making matters worse, Florida dropped 6 home games, including unthinkable home losses to a mediocre South Carolina team and a terrible Georgia squad. The Gators rallied to make the NCAA Tournament, but it was impossible to tune out the noise Saturday as the Gators bowed out of March on the first weekend for the second consecutive season. 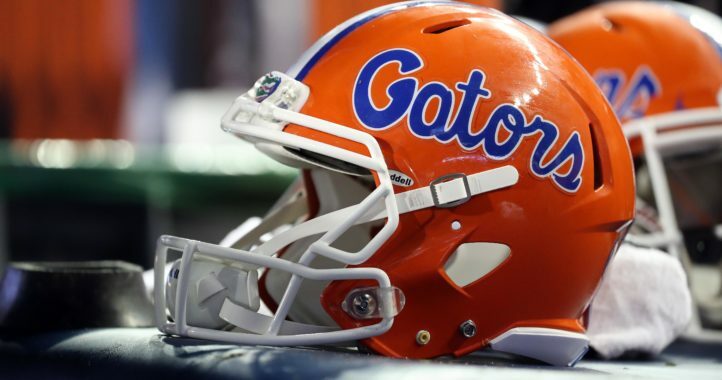 Many Gators fans called for a coaching change throughout the season, and they echoed those sentiments on social media after the game; many others were more restrained but insisted 2019-2020 would and should be a make or break year for White. On one side of the debate, there’s the results-based reality that White’s teams have won fewer games each of the past two seasons and his middle two recruiting classes have been mostly empty, with only Dontay Bassett offering meaningful minutes this season. Those empty classes, coupled with Hudson’s disappearing act and an injury to forward Keith Stone, forced White and the program to start three freshmen this season and limited the bench and with it, their ability to play White’s preferred way, with a press and quicker tempo. White’s teams have also struggled to score inside, and while injuries account for some of that problem, recruiting misses have compounded it. Florida also must win more at home; 11 home losses in two years have damaged NCAA seeding and cost the team at least one SEC Championship. On the other side of the debate, there’s the reality that White is coaching in the toughest era of SEC basketball that has ever existed and is one of two coaches (Calipari) with 3 consecutive NCAA trips despite it. White has also been impacted by a serious injury for three consecutive seasons: twice to Egbunu, whose absence likely cost White a trip to the Final Four in 2016-17 and forced Florida to play 6-4 Egor Koulechov at the 4 spot throughout 2017-18, and this season to 6-8 forward Keith Stone, Florida’s second-leading scorer last March who was projected as a breakout player this season and who would have, at a minimum, shored up Florida’s lack of size on the glass. 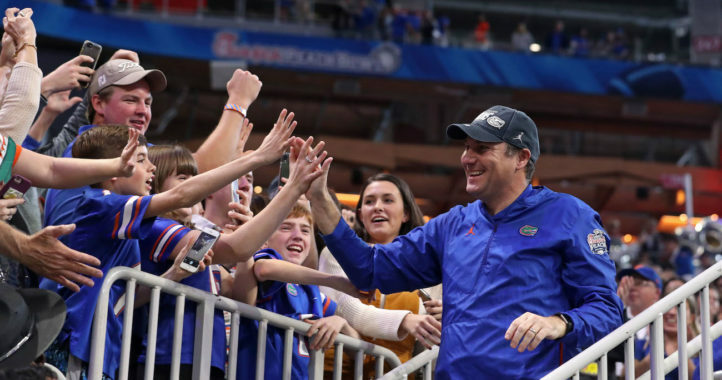 Nonetheless, the way the Gators closed in February and March, coupled with a significant uptick in recruiting, suggest the program is trending the right direction under White. The Gators rallied in February and March, despite a brutal schedule that ranked as the SEC’s toughest, to advance to their third consecutive NCAA Tournament and win 20 games. The offense, on track to be the worst since Donovan’s final campaign, improved 50 efficiency spots in a month as Hudson bounced back and the staff incorporated more Princeton style concepts to offset their lack of elite one-on-one personnel. Florida’s defense, a non-negotiable program staple, finished in the top 15 in KenPom defensive efficiency, the third such finish under White. Florida capped its rally with a win over a Nevada team full of future NBA players that spent most the season in the top ten. As “tough” seasons go, one that ends in the Round of 32 isn’t so bad. From a development standpoint, White’s early staff changes suggest that he’s aware of his limitations, an important trademark of good coaches. Just as a young Donovan hired Larry Shyatt to shore up his team’s defensive weaknesses that led to a disappointing string of first weekend exits in the NCAA Tournament, White replaced departed assistant coach Dusty May, another young star in the industry, with Al Pinkins, a nationally-respected developer of big men. Pinkins paid immediate dividends Year 1, getting a career year out of senior Kevarrius Hayes and helping Dontay Bassett become a player who could impact winning in the NCAA Tournament. What Pinkins can do with Isaiah Stokes, a redshirt freshman with an assortment of post moves, should excite Florida fans moving forward. As for recruiting, White and his staff have picked it up, landing back-to-back top 20 classes including a top 10 class coming in next year that includes two McDonald’s All-Americans and on paper is the best Florida recruiting class in a decade. That Florida has done some “strong-a**” recruiting in the wake of the FBI scandal that rocked college basketball and directly implicated LSU and Auburn might be a coincidence, but if it is, it’s an odd one. Should big things be expected in 2019-2020? Sure. With the return of a freshmen core that looks special and another elite recruiting class coming in, people should be excited to see the Gators play next season. But expectations are always high at Florida. Florida fans should do the same.